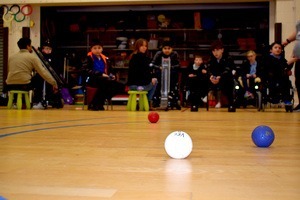 Yesterday Victoria welcomed Winchelsea, Longfleet, Oakdale, Allenbourn and St Joseph’s schools for the next round of matches in the Boccia Inclusion League. The Inclusion League enables our students to compete with mainstream students in a fun but competitive league which also goes a long way in strengthening our ties with other schools in the area. All teams played some fine Boccia and showed great skill.